DELVA Landscape Architecture | Urbanism is a young and growing agency specializing in landscape architecture, urban planning and research. Due to the growing demand from colleagues (Landscape Architects and Architects) to collaborate on intercontinental tenders, DELVA is urgently looking for an experienced Landscape Architect. Who are we looking for? As a landscape architect / designer you have extensive experience in working independently on projects abroad. A designer who can examine a tender, bring it further and visualize it to an appealing end result. 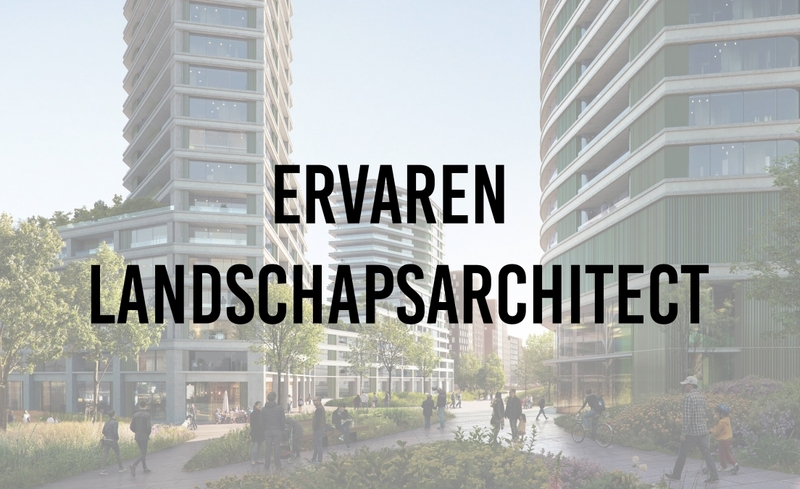 This in close cooperation with architects and landscape architects at in The Netherlands and abroad. We are looking for an enthusiastic talented landscape architect with intercontinental experience and a completed master in Landscape Architecture or comparable with at least 6 years of experience. You are open minded both within the team and towards the client(s) and you have a great deal of curiosity to explore new possibilities across the borders. Knowledge of exotic plants is an advantage. You like working in a team but you can also carry out an assignment independently. Computer programs including Autocad, 3D and Adobe Illustrator, Indesign and Photoshop are no problem for you and you know how to design and present a project well. We expect a perfect command of the English language, both in word and in writing. You are living in (the surroundings of) Amsterdam.